Mike’s Custom Flooring supplies the local businesses and homes with a number of custom flooring services throughout the Eastern Panhandle of Berkeley and Jefferson Counties of West Virginia as well as Frederick, Loudoun and Fairfax Counties of Virginia. 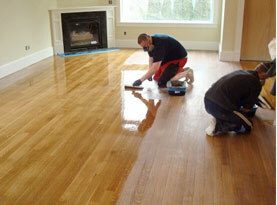 We are completely licensed and insured to offer professional quality of flooring. Mike’s Custom Flooring specialists have advanced training, years of experience, and natural skills that are amplified with the use of top-of-the-line products, equipment, and tools that are only available to licensed professionals to ensure our valued customers receive nothing less than premium results. We strive to uphold high moral standards and work ethics, apply friendly customer service, and execute superior services on all services rendered on consistent basis. Mike’s Custom Flooring offers ceramic tile demolition and floor preparation services for the installation of carpet or Mike’s Custom Flooring hardwood flooring installation in commercial or residential customers. Ceramic tile found throughout any home or business can be removed for those wanting to upgrade to a high quality carpet, tile or an extraordinary hardwood floor. The ceramic tile that is cracked, old and dingy may be telling you it is time for a change! With Mike’s Custom Flooring assisting you, you can install that favorite lush carpet or natural stone you have your eye on or go a step further and add hardwood flooring that increases the value of your home or business. Mike’s Custom Flooring ceramic demolition and subfloor preparation service includes the removal of the debris as well as the preparation required for carpet installation or hardwood floor installation. 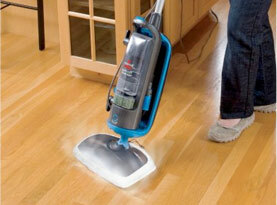 Our specialists remove your ceramic tile entirely. With the use of the right equipment, safety protocols, and simplistic cleanup, removal and hauling of the debris, Mike’s Custom Flooring is well worth the investment. Ceramic tile is not easy to remove, and where it might be tempting to allow it to stay where it is and install the upgrades, you will run into future problems with uneven floors and poor quality. 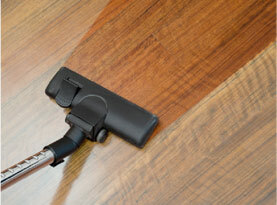 Mike’s Custom Flooring removes the tile as well as the mortar or other adhesive substance from the subfloor. Ensuring the subfloor is removed of all debris and substance residue is essential for maximum installation results for your new carpet, tile or hardwood floor. 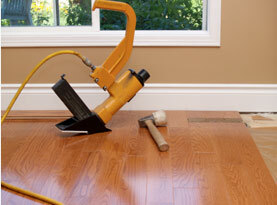 Mike’s Custom Flooring provides expert hardwood floor installation services following the ceramic tile demolition and floor preparation service. We offer laminate, solid, and engineered hardwood flooring in an assortment of colors with a diverse of preferred installation. Whether you prefer nailed, glued, or floating installation, Mike’s Custom Flooring can perform it with precision to last for years to come! If your residential home or commercial business in Eastern Panhandle of Berkeley and Jefferson Counties of West Virginia as well as Frederick, Loudoun and Fairfax Counties of Virginia features ceramic tile that you wish to have upgraded to hardwood flooring, carpets or new tile; Mike’s Custom Flooring has the services you need for a thorough, precise, and efficient ceramic tile demolition, removal and prep service. Call us today to get started!